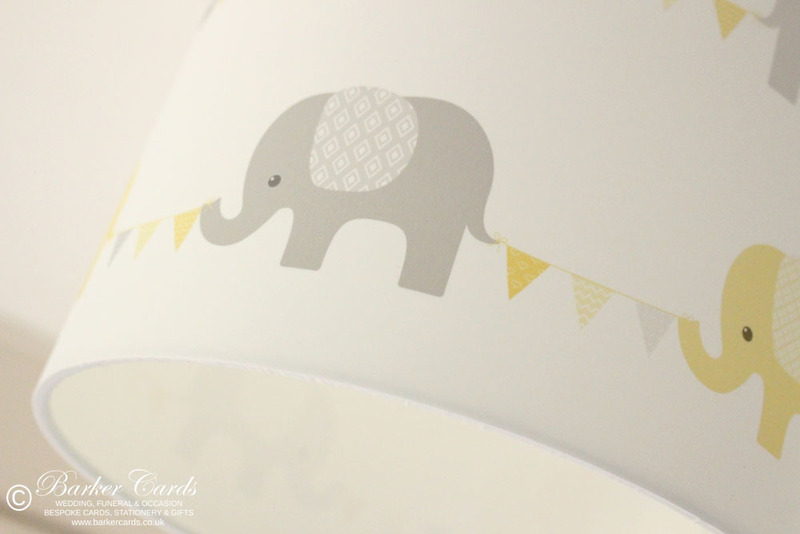 Our yellow nursery elephant & bunting lampshades have been created because of our love of personalised products. Each lampshade is handmade to order, which means it can be made in any colour and to suit your room decor. Elephant & bunting Lampshades may be personalised with pretty much anything you can imagine, from the name of your child, the words of a special poem, or a memorable picture / photos. 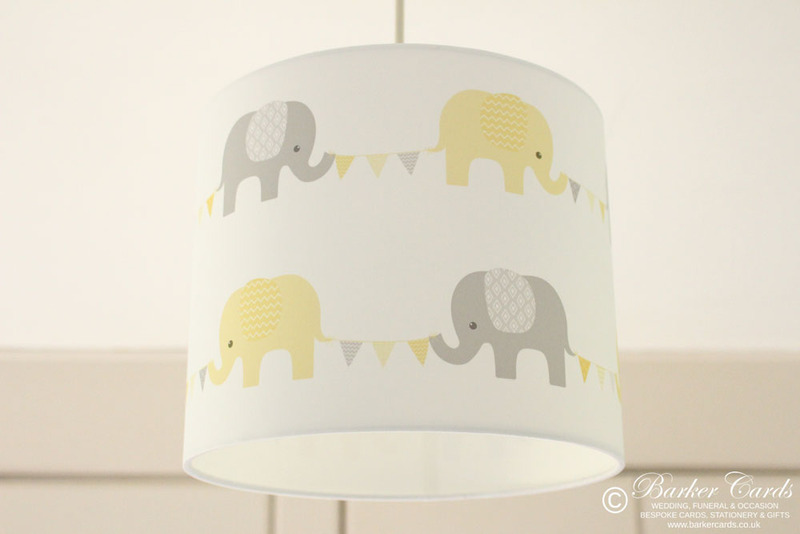 Our elephant and Bunting lampshades would make a brilliant addition to a child's bedroom or baby's nursery. All lampshades are available as ceiling or table lampshades. They may also have a poem featured or your chosen quote / name added (additional charges apply). When placing your order, please note in the comments the type of lampshade (ceiling lampshade or table lampshade) and whether you would like any wording or name featured.